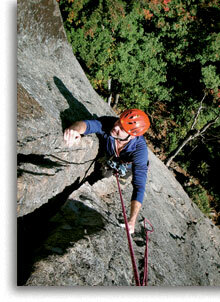 Join us for a mountain adventure in the Adirondacks or around the world! In this section you will find comprehensive descriptions of all our mountain guiding services, including all of the information you need to arrange an adventure with us. Here, you can learn about our company, about the Adirondack Mountains, and about our professional qualifications. This section explains how we encourage environmental stewardship, promote effective education and facilitate personal growth. Here’s where you can find out what’s happening at Alpine Adventures, including photos from recent programs, news, conditions and last-minute special offers. Email or Call us at (518)576-9881 to arrange your next adventure! Alpine Adventures; conceived, owned, and operated by R.L. 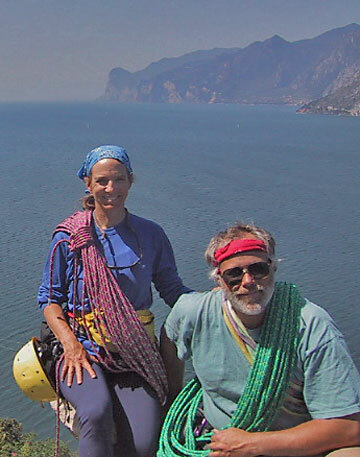 and Karen Stolz, has provided instruction and guiding for rock and ice climbing, mountaineering and backcountry skiing since 1985. We are based in Keene, New York in the Adirondack Mountains  the east’s largest wilderness. 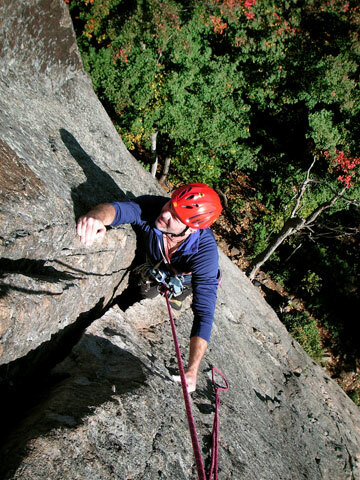 Our services include private instruction, guiding and scheduled courses in the Adirondacks. We also conduct private trips, for qualified individuals, to destinations throughout the world. 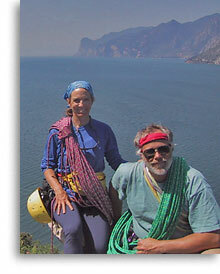 We are career mountain guides, each with more than 35 years of climbing and skiing experience. We have both climbed and guided extensively throughout the world. We offer only highly-personalized service, with emphasis on individual attention. We take a personal interest in your development as an alpinist and we will do everything we can to help you reach your goals. We hope you’ll join us for a mountain adventure. Copyright © 2004-2018 Alpine Adventures, Inc.